Gather around the table for a laid back meal outdoors with this all-weather dining set. 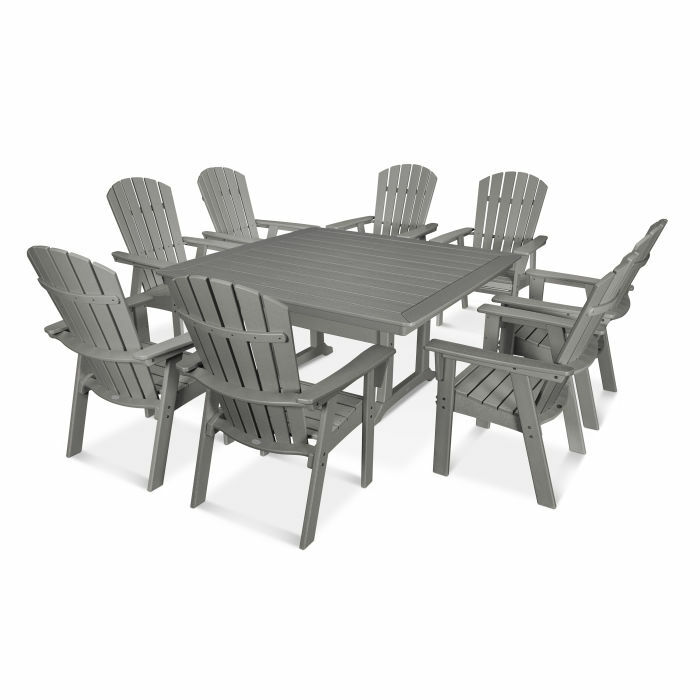 With seating for eight, the Nautical Adirondack 9-Piece Trestle Dining Set allows everyone at the table to be a part of the conversation. The Nautical Adirondack Dining Chairs feature an oversized seat while the Nautical Trestle 59" Dining Table provides a spacious tabletop and plenty of legroom underneath.